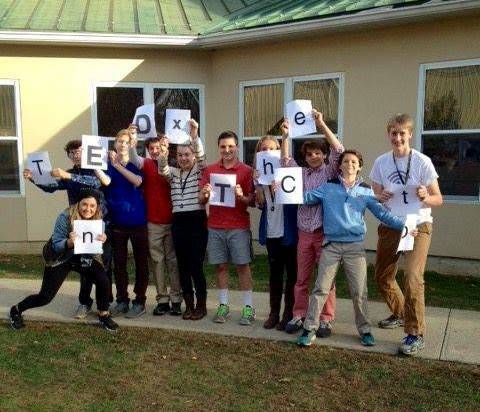 IVORYTON – The Ivoryton Congregational Church is hosting a Pasta Night on Saturday, April 30, beginning at 5:30 p.m. The menu is ziti with meatballs, salad bar, garlic bread, dessert, and coffee or tea or water. Adults are $10; children ages 6-12, $5; under age 5, free. Reservations are recommended. Call Isobel at (860) 767-8167 or the Church Office at (860) 767-1004. 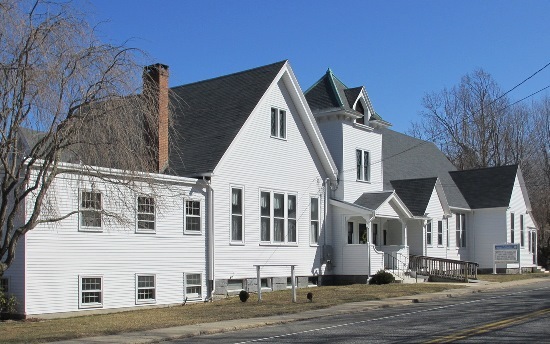 The church is at 57 Main Street, Ivoryton. An opening reception will be held on Sunday, March 13, from 3 to 5 p.m., for one of this year’s most exciting artistic events at Congregation Beth Shalom Rodfe Zedek’s Main Street Gallery. New York artist Juniper Foster’s dynamic, unencumbered palette forms a conversation with the canvas, effortlessly draws the viewer into her world, and brings each painting to life, transforming the spectator into a participant whose perspective is free to shift with time and mood. 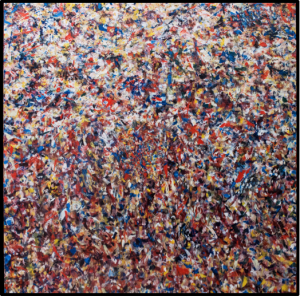 Her 37 works range in size from 4×4″ to 58×84” and will be on display through April 30. Congregation Beth Shalom Rodfe Zedek is located at 55 East King’s Highway in Chester. For more information, visit cbsrz.org or call 860-526-8920. What is your most difficult morning challenge? 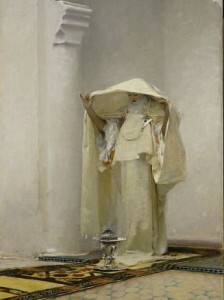 Choosing your outfit for the day? Getting the kids ready for school? Trying not to hurt your arm as you sling the alarm clock across the room? Beginning Feb. 29, designated World Rare Disease Day because it’s the rarest day of the year, and through March, Rare Disease month, readers are challenged to eat your breakfast — even if it’s just a bowl of cereal — while wearing a blindfold. Why, you ask? Sofia Sees Hope, a nonprofit organization dedicated to raising awareness of rare inherited retinal diseases, wants you to challenge yourself to experience just one simple meal without the use of your sight. This is what life is like every day for someone suffering from a rare inherited retinal disease. AREAWIDE – Literacy Volunteers Valley Shore is pleased to announce its Inaugural Annual Scrabble Scramble Tournament on Wednesday, April 27, starting at 5:30 p.m. The event, billed as “An Evening of Words with Friends,” will be held at the First Congregational Church of Madison at 27 Meetinghouse Lane, Madison. Tables of four people will play cooperatively on a single scrabble board to best other tables in the tournament. This isn’t just another scrabble tournament. You can bribe the Word Judge to get a peek at the dictionary or buy extra tiles to make the triple score word you need to win! Prizes will be awarded to tables with the highest score in each of two rounds as well as an overall winner. Players can join the fun for $25 per person. Coffee and snacks will be provided. Proceeds from the tournament will benefit Literacy Volunteers Valley Shore English tutoring and workplace literacy programs. Call Literacy Volunteers Valley Shore at 860-399-0280 or go to vsliteracy.org for information and to sign up. 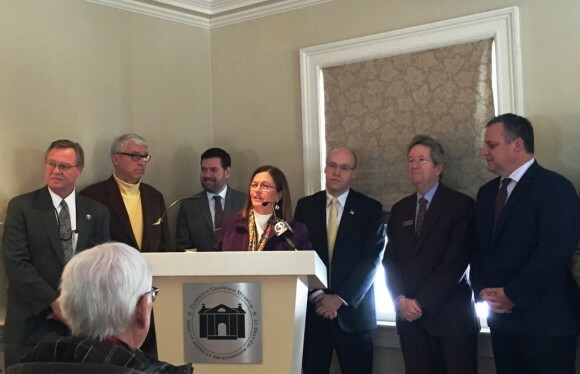 AREAWIDE – On Feb. 24 Sen. Art Linares (at far right) joined with members of the Lower CT River Valley Council of Governments (RiverCOG) at the State Capitol to discuss key issues being debated during the 2016 legislative session. 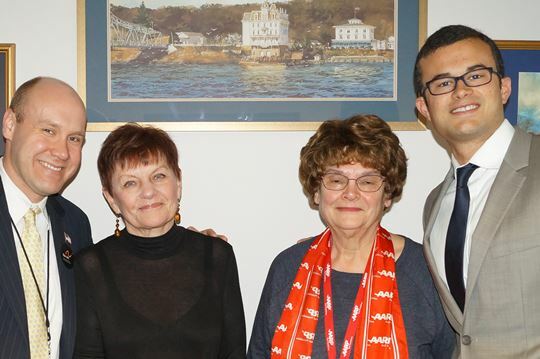 Shown in the photo with him, from left to right, are Haddam First Selectman Lizz Milardo, East Hampton Town Manager Michael Maniscalco and Middlesex County Chamber of Commerce Executive Committee Member and Past Chair Darlene Briggs. 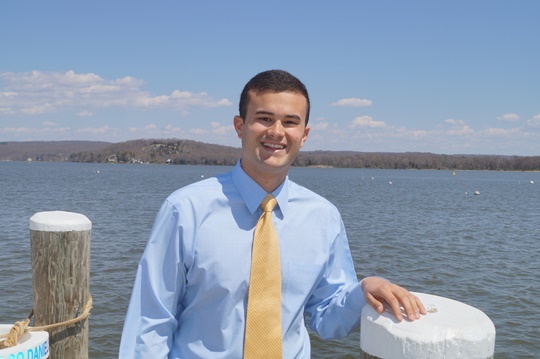 Linares represents Chester, Clinton, Colchester, Deep River, East Haddam, East Hampton, Essex, Haddam, Lyme, Old Saybrook, Portland, and Westbrook. He can be reached at 800-842-1421 or at Art.Linares@cga.ct.gov. 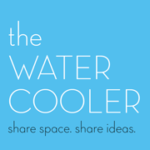 The RiverCOG has 17 member towns, including Chester, Deep River, Essex, Lyme, Old Lyme, Old Saybrook and Westbrook. RiverCOG has an office at 145 Dennison Road in Centerbrook, and is open Monday through Friday from 9 a.m. to 4 p.m. More information about RiverCOG is at www.rivercog.org or by calling (860) 581-8554. ESSEX – The various buttons and modes on your digital camera can be overwhelming and the manual can make learning photography even more frustrating. The simple answer for many is to put the dial on “Auto” and to snap away, but even that doesn’t seem to cut it sometimes. On Saturday, Feb. 27, from 10:30 a.m. to noon, local photographer Ashley Gustafson Eng is returning to the Essex Library to guide us through the mysterious buttons on our digital cameras. Learn to take full advantage of the technology in your hands in a class designed to kick off your photography. You’ll learn what each mode on your dial is used for and how to best apply it to your photography. Additionally, the class will cover the basics and buttons used for exposure and create an understanding of how to use shutter speed, aperture and ISO to capture beautiful photographs. 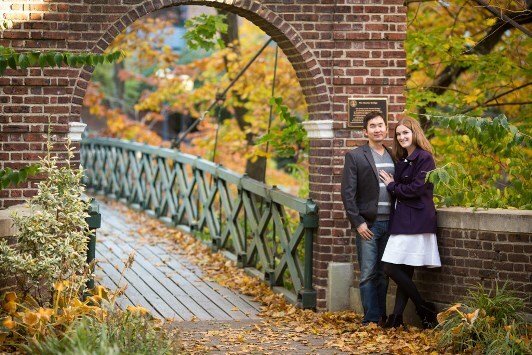 Ashley Gustafson Eng is a local photographer specializing in weddings and portraiture. Discovering her passion for photography nine years ago, she has been developing her skills since. Capturing moments and memories for their clients in the Northeast and beyond, Ashley and her husband Tim have been building their business, Visual Appeal Studios, for five years. Admission to this program is free and open to all. Advance registration is suggested; call (860) 767-1560 to register or for more information. The Essex Library is located at 33 West Avenue. The Essex Wellness Center at Novelty Lane in Essex. ESSEX — Essex Wellness Center presents a “Live Well 2016!” lecture series throughout the winter and spring of 2016. The series features free 90-minute (60-minute lecture plus 30-minute Q & A) educational lectures presented by various Essex Wellness Center holistic professionals. All lectures will be held at the Essex Wellness Center Group Space upstairs at 8 Novelty Lane in Essex Village — parking is in the lot and on Main Street. Pre-registration* is required because space is limited. Lecture No. 6 Feb. 27 1:30 p.m.
REGISTER EARLY TO RESERVE YOUR SEAT — this lecture is already filling up! 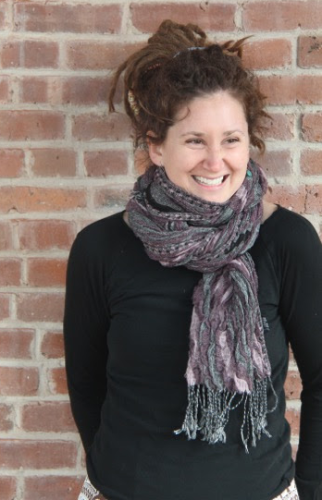 Alicia DeMartin received her BS from The University of Vermont and a MS in Oriental Medicine from Southwest Acupuncture College in Boulder, Colorado. She discovered a passion for emergency medicine and orthopedics working as a Wilderness EMT and ski patroller at Stowe VT after college. Moving out West to pursue her passion for skiing, horses and an active mountain lifestyle, she successfully utilized the services of an acupuncturist to treat her own orthopedic injuries. Intrigued and healed, she decided to go against the grain of her medical family and enroll in graduate school for Oriental medicine. 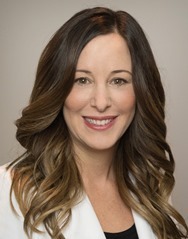 DeMartin owned a private practice in Vail, Colorado for six years and has nine years of experience specializing in pain management and orthopedics. Alicia loves working with orthopedic conditions, arthritis, injuries, pain of all varieties and post-surgical rehab, especially joint replacements. DeMartin is currently working towards a Doctorate in Chinese medicine orthopedics and traumatology. *Pre-registration is required to reserve your seat in these limited-space lectures. To register online, visit this link, click on ‘Workshops,’ find the lecture for which you wish to register and click ‘Sign Up.’ To register by email or phone, contact info@essexwellnessctr.com or 860-767-7770. 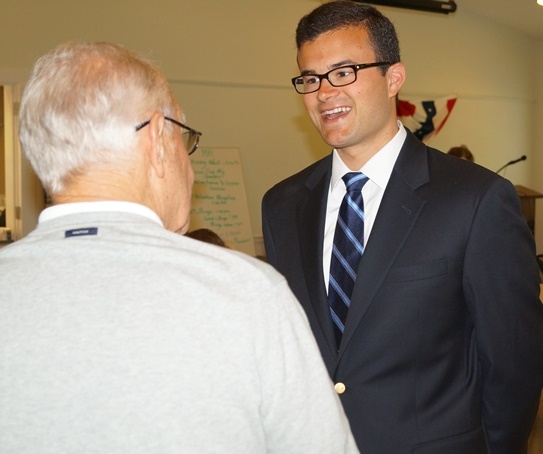 Sen. Art Linares speaks with a taxpayer at the Haddam Senior Center. AREAWIDE – Sen. Art Linares is co-sponsoring a bill at the State Capitol that would completely eliminate the personal income tax on Social Security benefits. 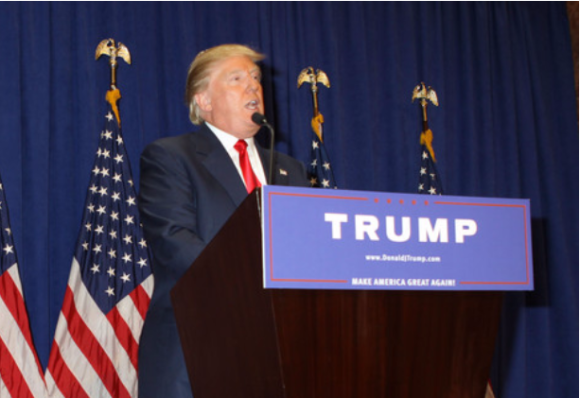 · Email testimony to: FINtestimony@cga.ct.gov. 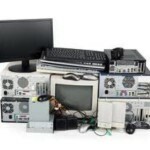 · In the email’s subject line, put House Bill 5062. 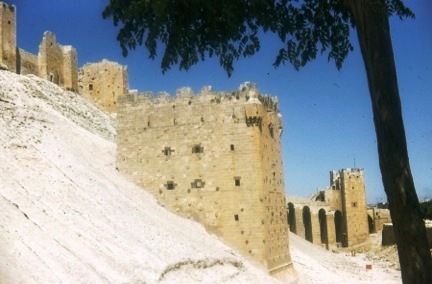 · Testimony can be as brief as you like, but should include your name and town. Taxpayers should feel free to copy Linares on the testimony at Art.Linares@cga.ct.gov. Those who wish to testify in person may attend the hearing on Feb. 26 at 10:30 a.m. in Room 2E of the Legislative Office Building in Hartford. For detailed information on testifying in person or submitting written testimony, visit www.cga.ct.gov and review ‘Citizen’s Guide/Guide to Testifying’. Questions may be directed to Linares at 800-842-1421. House Bill 5062 can be viewed here. AREAWIDE – Literacy Volunteers Valley Shore needs someone to edit and submit news and publicity items to area newspapers, collect clippings and keep records of publicity for the organization. The schedule is flexible and mostly can be accomplished from home or remotely. The organization also needs office help doing light clerical work on the computer two to three afternoons each week. Please call 860-399-0280, stop in the office at 61 Goodspeed Drive, Westbrook, around the back of the Westbrook Library, or fill out an online volunteer application at www.vsliteracy.org. CHESTER – The Chester Historical Society will host a free program, “Three Remarkable Sisters,” on Sunday, April 24, at 4 p.m., in the Community Room at Chester Town Hall. 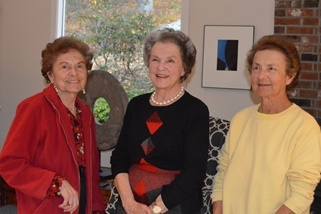 The Yenowich sisters – Lillian Bella, Thelma Culver and Matilda Dumbrill – will reminisce about growing up in Chester in their large Russian family on a farm on Wig Hill. Their memories of their parents and their life on the farm are compelling. Come and hear a story about a time in Chester that will surprise you. There will be time for questions and for sharing your own memories of the Yenowich family. The program is free and open to the public. Refreshments will be served. More information: 860-526-2331. OLD LYME – Erin Monroe of the Wadsworth Atheneum will be the speaker at the Connecticut River Museum’s annual Brenda Milkofsky Curatorial Fund dinner at the Old Lyme Country Club on Thursday, April 21, beginning at 6 p.m.
Erin Monroe joined the Wadsworth staff in 2007 and today serves as the Robert H. Schutz, Jr. Assistant Curator of American Paintings and Sculpture. She entitled her talk, “Pioneering Visions: American Landscape Painters and Their Patrons.” Using works from the Atheneum’s collections, she will discuss how the emergence of American landscape painting is closely interwoven with the founding of that museum in 1842. 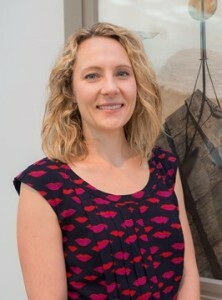 Erin has worked with the Atheneum’s extensive painting collection, which includes Hudson River School, landscapes, portraiture, folk art, American impressionism and modernism, among others. 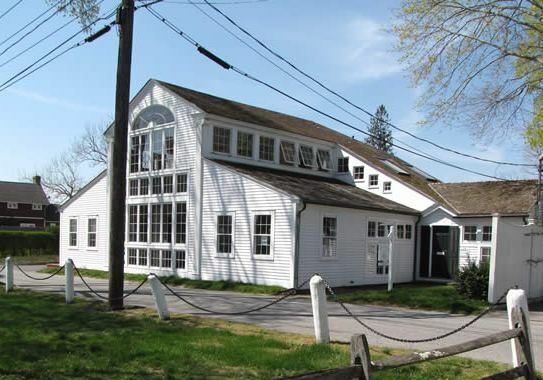 The Milkofsky Curatorial Fund is restricted to the acquisition and conservation of objects and manuscripts that enhance the historical focus of the Connecticut River Museum’s collections. Purchases from this fund have included the portrait of a Middletown merchant-mariner, a landscape of the oft-painted view of the Ox Bow below Mount Holyoke, the stern board of a Portland-built stone schooner, an Old Lyme hunting scene and a model of a Blue Line tug-boat, among others. For more information or to make a reservation, please call the Connecticut River Museum at 860-767-8269. ESSEX – The Essex Wellness Center is hosting an Anti-Aging Event with Nikki Rasmussen of Yolo Laser Center and Med Spa on Wednesday, April 20, from 4 to 6 p.m. Come learn about the latest anti-aging products available and enjoy great food, fun and prizes. Space is limited to the first 20 reservations. Everyone must RSVP by April 17. All attendees will be entered into a raffle to win $400 in products and services. Buy one area of Botox, get second area free (up to $280 value). Each guest who makes a purchase will be entered to win $300 in Med Spa service (subject to medical suitability). Essex Wellness Center is at 28 Main Street, Essex Village. 860-767-7770 or email info@essexwellnessctr.com. Bring your own dinner and drinks to Chester Rotary’s Longest Dinner Table evening in April and help support local hunger programs. 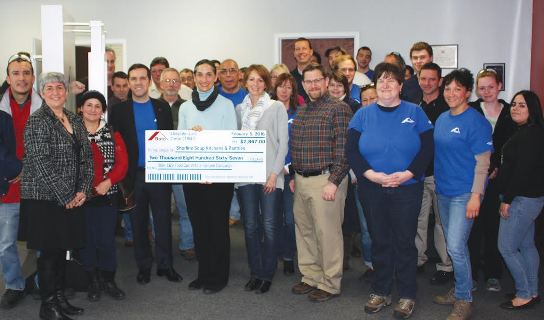 CHESTER – The Rotary Club of Chester continues its long practice of giving back to the Town of Chester and its residents. Its fund raisers, such as the 4 On The Fourth road race and the Lobster Festival (to be held this year on Sept. 10 at the Chester Fairgrounds) are two of its successful events. The Longest Dinner Table is a relatively new fund raiser, with the goal of raising funds to benefit local organizations such as the Chester Food Pantry, the Back Pack Program and the Shoreline Soup Kitchens. This year The Longest Dinner Table is being held Saturday, April 23, at St. Joseph’s Parish Center in Chester from 7 to 11 p.m. It is an adults only evening consisting of music, food, silent auction and fun. 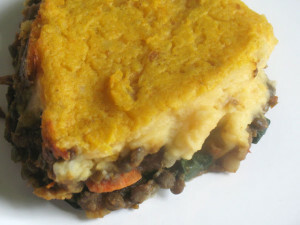 Buy tickets at $25 each and create your own dinner menu with beverages centered on your theme. 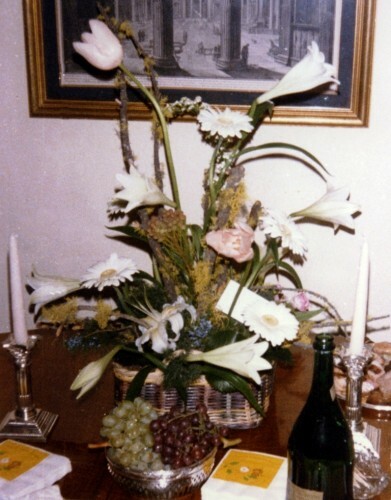 Gather your friends and create a themed table with your own decorations. Wear costumes, if you want! 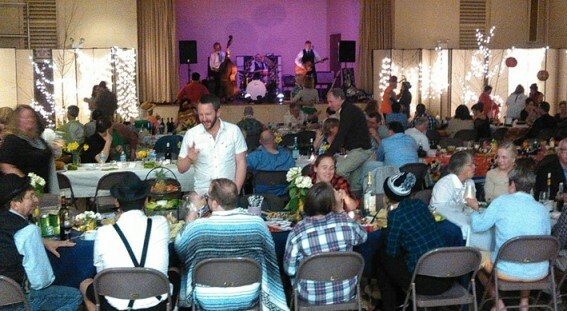 After dinner, dance to the rockabilly tunes of Four Barrel Billy, an upbeat local band. Everyone will have a great time and you will be supporting the Rotary’s local programs. OLD SAYBROOK – The Estuary Council of Seniors will host a program on Wednesday, April 20, at 12:45 p.m. to discuss the transportation options for senior citizens and people with disabilities in the nine-town Estuary region. Topics will include Riding 9 Town Transit, scheduling trips online, how to apply for a senior fare card, accessibility of transit vehicles, mobility management and travel training. For more information or to register for the program, call Rob Carlucci at 203-260-9187. Walk-ins are welcome. The Estuary Council of Seniors is located at 220 Main St., Old Saybrook. 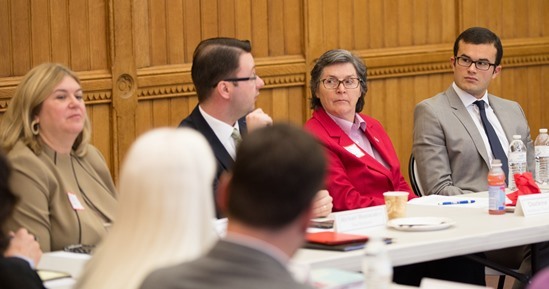 AREAWIDE – On Feb. 19, Sen. Art Linares testified against a legislative proposal that would complicate harbor dredging and negatively impact Connecticut marinas. The state Department of Energy and Environmental Protection joined Sen. Linares in opposing the bill, noting that the proposal seeks to address issues that have already been resolved. An environmentally sensitive plan that is responsive to the need to dredge long-neglected harbors was adopted by U.S. Army Corps of Engineers in December. CHESTER – Despite Woody Allen’s aspersions, Beowulf is an Old English poem well worth reading. In the hands of discussion leader, Edward Wheeler, the participants in the Chester Library’s discussion series will have an extraordinary look at a society in transition with its heroes and monsters, mead halls and the giving of rings. 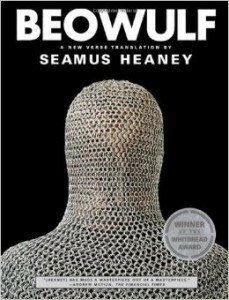 Seamus Heaney’s Beowulf translation offers both the Old English and contemporary English texts. Three sessions are planned for Tuesdays, April 12, 19 and 26, from 7:30 to 9 p.m., at the Chester Library. Registration is required; call 860-526-0018. Books are available at the library on a first come-first served basis. Chester Library is at 21 West Main St. (Rte. 148) in Chester. Jeff Barnhart plays Sunday in the next Essex Winter Series concert. 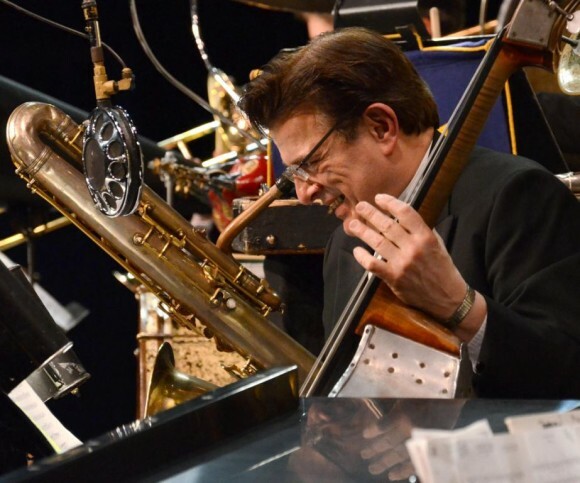 DEEP RIVER — Jeff Barnhart and His Hot Rhythm will celebrate the rollicking jazz and pop styles of the first half of the twentieth century with a concert on the Essex Winter Series on Sunday, Feb. 21, at 3 p.m. at Valley Regional High School in Deep River. Barnhart, the renowned pianist who serves as Jazz Artistic Advisor forEssex Winter Series, will be joined by a band of all-stars, including Anne Barnhart on vocals and flute; Joe Midiri on reeds; Paul Midiri on vibes and trombone; Vince Giordano on bass, tuba, and bass sax; and Jim Lawlor on drums. The Feb. 21 concert is sponsored by the Clark Group and Tower Laboratories. Barnhart is an internationally renowned pianist, vocalist, arranger, bandleader, recording artist, composer (member of ASCAP), educator and entertainer. He began his professional career at age 14 playing and entertaining four nights a week in a restaurant in his home state of Connecticut. Here he began to learn the classic swing, jazz and ragtime repertoire of the early 20th century. The 21st century has found Barnhart constantly appearing as a soloist and band pianist at parties, festivals, clubs and cruises throughout the world. In addition, he leads two bands in the UK: the Fryer-Barnhart International Jazz Band, which concentrates on hot music of the 1920s, and Jeff Barnhart’s British Band, which performs small group swing of the 30’s. 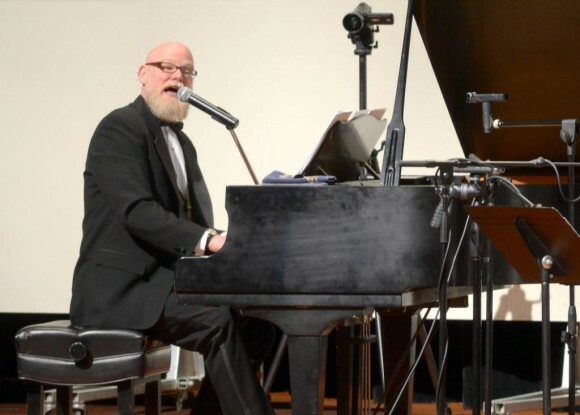 Due to his versatility, vast repertoire and vibrant energy, Barnhart is in increasing demand as a participant in international jazz events as either a soloist or as pianist in All-Star Jazz ensembles. Among the great musicians in the Hot Rhythm band is the renowned Vince Giordano on bass, tuba, and bass sax. In addition to his widely acclaimed solo and band appearances, Barnhart is enjoying great success performing with smaller groups, most notably Ivory&Gold®, a group he co-leads with his talented wife, flutist/vocalist Anne Barnhart. Ivory&Gold® has become a mainstay at many jazz and ragtime festivals throughout the US, the UK and Europe. Barnhart enjoys playing dual piano and has done so with such jazz luminaries as Ralph Sutton, Neville Dickie, Louis Mazetier, John Sheridan and Brian Holland. In addition to his own label, Jazz Alive Records, Barnhart plays piano and sings on the international labels GHB, Summit-World Jazz Records, Music Minus One, and the two largest jazz labels in the UK, Lake Records and P.E.K. Sound. In 2006, Barnhart joined the roster of artists featured on the Arbors Records label, with four recordings currently available: the most recent featuring jazz legends Bob Wilber and Bucky Pizzarelli. Barnhart has recorded as both pianist and vocalist on over 100 full-length albums. He averages 40 weeks a year on the road, bringing his music to all corners of the globe. Music composer, performer and reviewer Jack Rummel, recently summed up the reason for Barnhart’s popularity, averring, “When it comes to talent, speed, versatility, creativity, mastery of multiple genres and just plain entertaining zaniness, Jeff Barnhart stands alone”. In addition to his active performance and recording schedule, Jeff is a dedicated and enthusiastic educator. His double BA in Music and English, combined with his MA in Education, make Barnhart a formidable and entertaining force in the clinic, master class and inspirational speaking forums. In the first quarter of 2015, he and his wife have appeared as clinicians at Lone Star College in Kingwood, TX, The University of Colorado Denver and Mississippi State University. The remainder of Essex Winter Series concerts are listed below. All of the concerts are on Sunday afternoons at 3 p.m. in Deep River. Concerts take place at Valley Regional High School, with the exception of the March 6 concert, which will be presented at John Winthrop Middle School. All tickets to Essex Winter Series concerts are general admission. Individual tickets are $35. Tickets may be purchased on the EWS website, www.essexwinterseries.com, or by calling 860-272-4572. More program information, artist biographies and photos are available on the Essex Winter Series website, www.essexwinterseries.com. CHESTER —- Leif Nilsson hosts another Concert in the Garden, Sunday, Feb. 21, from 4 to 6 p.m., this time featuring Kristen Graves at the Spring Street Studio and Gallery at 1 Spring St, Chester Center. This monthly concert series highlights eclectic international singer/songwriter artists from cool jazz to blue grass. Kristen Graves is a singer/songwriter and humanitarian from Green Bay, living in Fairfield, Conn. She was recently listed as part of the “new generation of folk music” in the New York Times and was mentioned in Rolling Stone for her music’s environmental activism. She has shared the stage with Rusted Root, Dar Williams, Peter Yarrow (of Peter, Paul & Mary), and the late Pete Seeger. With catchy songs, a penchant for storytelling, and inspiring lyrics, Graves performs nearly 200 shows a year through the United States and Europe. On her first visit to the Concert in the Garden series, she will be performing her own original songs as well as some classic folk sing-alongs. 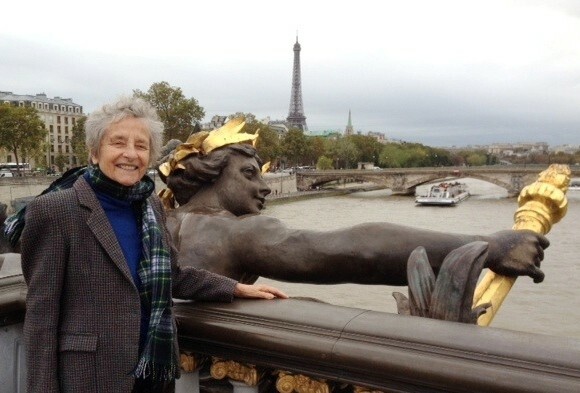 You’ll be invited to sing, laugh, cry, and enjoy each other as Graves shares the stories behind her music – from sharing Lincoln Center stage with Peter Yarrow, to sharing lentil soup with Pete Seeger. This is an evening of stories and songs you won’t want to miss. Read more about Graves at www.kristengraves.com. Doors open a half hour before the show – first come, first seated. 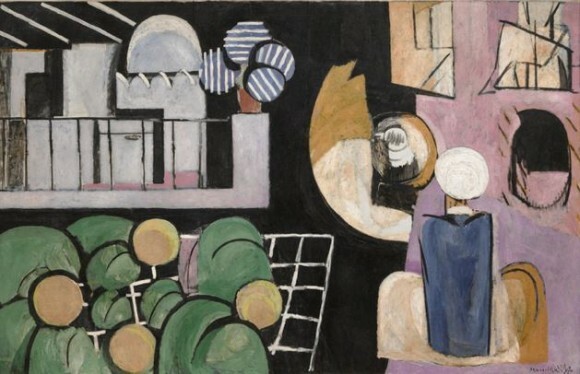 The concert is held inside the gallery this time of year. Sorry, no pets are allowed. A $20 donation is appreciated. The event is BYOB. Buy your own wine or beer at the Chester Package Store across the street, which is open until 3 p.m.
For more information, call 860-526-2077 or log on www.nilssonstudio.com. AREAWIDE – Literacy Volunteers Valley Shore, CT, Inc. in Westbrook is looking for donations of clean books that were loved and now need a new home! If you have books with a copyright date of 2006 or newer that you read and loved and want to see go to a good home, we have the opportunity for you! Please consider donating those adult or children’s hardcover or soft cover books as well as DVDs or puzzles to Literacy Volunteers at 61 Goodspeed Drive, Westbrook, between 8 a.m. and 2 p.m. weekdays. In return, you will receive a certificate for $5 off the purchase of any books in our inventory totaling $10. Anyone interested in more information regarding this program, our upcoming events or any of our services is encouraged to call our office at (860) 399-0280, visit us on the web at www.vsliteracy.org or e-mail us at info@vsliteracy.org. 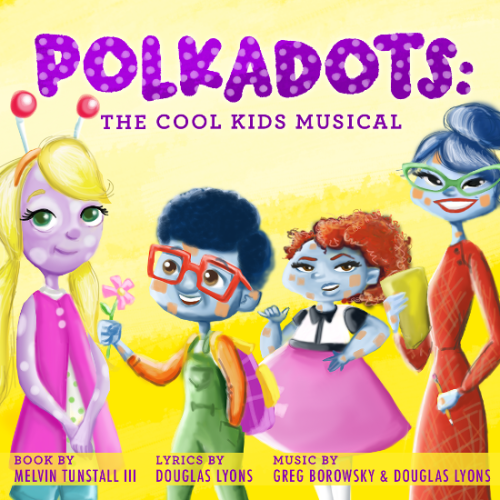 IVORYTON – The Ivoryton Playhouse will be producing Polkadots: The Cool Kids Musical for schools in Middlesex and New London Counties in April. 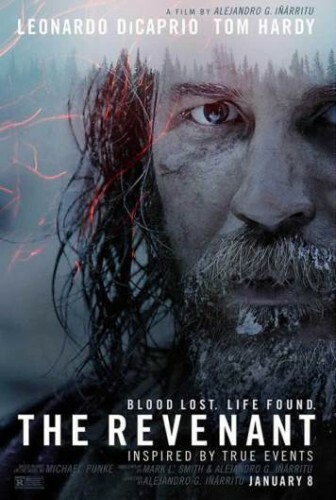 This show delivers the message of treating others with dignity and compassion. Polkadots was inspired by the 1957 events of the Little Rock Nine in Arkansas and serves as a colorful history lesson for children, reminding them that our individual differences make us awesome, not outcasts. It is the story of Lily Polkadot, who has just moved to the “Square’s Only” small town of Rockaway with her mother. As the first Polkadot in an all-Square school, Lily faces the almost impossible task of gaining acceptance from her peers. From daily bullying by mean girl Penelope to segregated drinking fountains, Lily’s quest seems hopeless until she meets Sky, a shy Square boy whose curiosity for her unique polkadot skin blooms into an unexpected pal-ship and a turn of events for the courageous Lily. The show is brought to life with costuming and 14 entertaining musical numbers. Co-produced by Marc Blakeman, Polkadots was conceived by Douglas Lyons, who wrote the music and lyrics. Lyons, a Connecticut native and graduate of the Hartt School, is a Broadway actor whose credits include Beautiful: The Carole King Musical and The Book of Mormon. Besides the school shows (which include the Chester, Deep River and Essex Elementary Schools), there will also be public performances (suggested for ages 11 and under) on Monday and Tuesday, April 11 and 12, at 7 p.m., and Saturday, April 16, at 2 p.m. Tickets for these public shows $15 all ages (special pricing of groups of 10 and more). For tickets and information, call the Ivoryton Playhouse at (860) 767-7318 or visit www.ivorytonplayhouse.org. Funding for this program provided by Marc Blakeman, the Bauman Family Foundation and Thomas J. Atkins Memorial Trust Fund, Bank of America, N.A., Trustee and Essex Community Fund. OLD SAYBROOK – Vendors and artisans who want to showcase their one-of-a-kind treasures, antiques, vintage pieces, arts and crafts and other assorted bric-a-brac during the one-day shopping event, “Junk in the Trunk,” are asked to fill out an application by April 15. The event will be held on Saturday, May 14, from 9 a.m. to 1 p.m., at the Estuary Council of Seniors, 220 Main Street, Old Saybrook, rain or shine. Application and $30 payment are due by April 15. Call Paul Doyle at (860) 388-1611, ext. 211 or stop by the Estuary Council for an application. 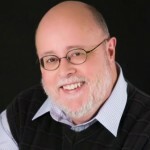 ESSEX – University of New Haven faculty member Chuck Timlin has brought his excellent teaching skills to the Essex Library community on topics such as Chaucer, Beowulf, Wordsworth and Robert Frost. Now, back by popular demand, he turns his talents to an examination of the poets Walt Whitman and Emily Dickinson. This series of five seminars will explore the writings of the 19th century’s two greatest American poets. 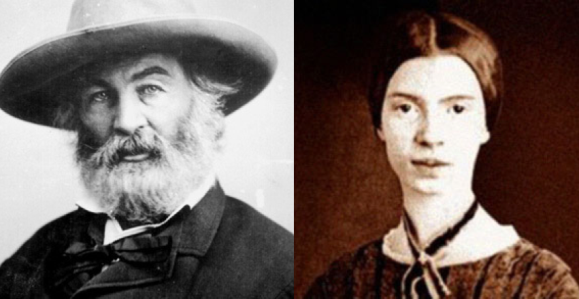 Together, Whitman and Dickinson created an original American poetic tradition as distinct from Britain and Europe’s traditions. They are two of the most remarkably original poets whose influence still resonates deeply with today’s poets around the world. Join in the discussion at 6:30 p.m. on five consecutive Thursdays, from March 17 through April 14. These illustrated seminars are free and open to the public. Registration is appreciated. Please call the Library at (860) 767-1560 for more information or to register. The Essex Library is located at 33 West Avenue in Essex. ESSEX – One quarter of time spent online is on social networks, from Facebook, Twitter, Instagram, Pinterest, to blogs, etc. – every brand needs a social media presence. Before becoming a consumer of a brand, people look for that brand’s social media to gauge if the lifestyle is in line with their personal brand. A true social media community is a seamless environment in which your followers feel personally invested and connected to your brand at all times, creating lasting customer relationships. This is equally true for non-profit organizations. With a few guidelines you can be on your way to becoming the next viral sensation (that’s a good thing). Regardless of your skill level or budget, join Julia Balfour, LLC experts: Caitlin Monahan, Alyssa Puzzo and Austin Gray at the Essex Library on Tuesday, April 12 at 6 p.m. to learn the where, what, when and how to best use social media for your business or non-profit, including analyzing the return on investment on your various channels. This program is free and open to all. Please call the Essex Library for more information or to register at 860-767-1560. The Essex Library is located at 33 West Avenue in Essex. OLD SAYBROOK – A program on salt marsh advancement and the future of Old Saybrook’s salt marshes will be presented on Tuesday, April 12, at 7 p.m., at the Vicki G. Duffy Pavilion, 155 College Street, by Dr. Adam Whelchel, director of science for the Nature Conservancy (TNC). Whelchel will discuss the TNC’s Marsh Advancement Zone Assessment that will be used by policymakers planning for the next 100 years of coastal land use. The program will also include time for questions from those in attendance. 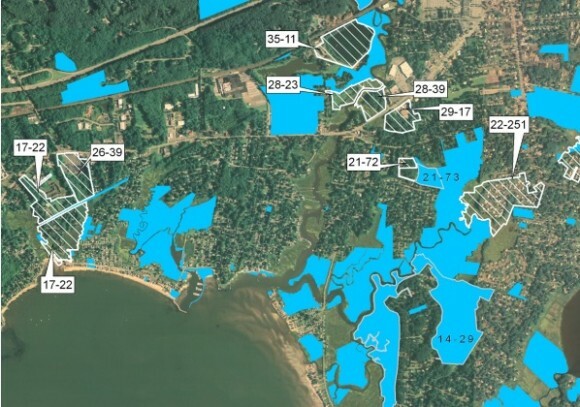 Connecticut is the first state in the nation to complete a future salt marsh assessment down to the individual lot for the entire coastline. Using a model developed in collaboration with the University of Connecticut, the Nature Conservancy’s Coastal Resilience Team has just finished a Salt Marsh Advancement Zone Assessment for all 24 coastal municipalities as well as a comprehensive report for the entire coast. Ultimately, the future of Connecticut’s salt marshes depends on land use decisions and policy implications that will be made based on our ability to predict change over the next 100 years. The detailed parcel-scale information will provide land trusts, municipal staff, volunteer commissions/boards and private property owners with answers to questions such as: Where and how much salt marsh advancement already occurs on existing open space such as nature preserves, parks, refuges, etc; where and how much salt marsh advancement occurs on currently unprotected and undeveloped parcels; where and how much conflict will there likely be between the built environment roads, airports, schools, neighborhoods, businesses, and daily flooding from tides? To access the Salt Marsh Advancement Zone Assessments for your community, visit http://coastalresilience.org/project-areas/connecticut-solutions/#Reports, and scroll down. Come hear Dr. Whelchel explain the Conservancy’s Salt Marsh Advancement Zone Assessment and join in the discussion about the future needs of this resource. Free admission. To find out more, visit the Old Saybrook Land Trust website, oslt.org. AREAWIDE — Musical Masterworks continues its celebration of a quarter century of magnificent chamber music at the First Congregational Church of Old Lyme on Saturday, Feb. 13, at 5 p.m. and on Sunday, Feb. 14, at 3 p.m. 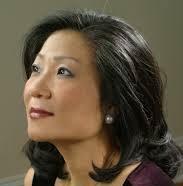 In a bold break from their traditional programming of repeat concerts, Edward Arron and pianist Jeewon Park will play two different programs in the Saturday and Sunday concerts, traversing the entire cycle of Ludwig van Beethoven’s works for piano and cello over the two days, providing a fascinating window into the arc of Beethoven’s compositional career. Saturday, Feb. 13 at 5 p.m.
Sunday, Feb. 14 at 3 p.m.
For those who plan to attend both programs, Musical Masterworks is offering a 50 percent discount on tickets to the additional concert. For more information, call the office at 860.434.2252 or visit www.musicalmasterworks.org to order your additional tickets. 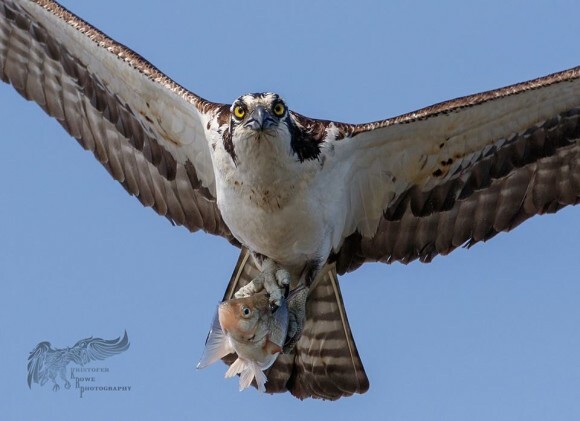 AREAWIDE – The Essex Land Trust and the Connecticut Audubon Society are planning a half-day field trip on Saturday, Feb. 13, to look for winter birds of prey such as eagles, hawks and owls. Connecticut Audubon Society EcoTravel Director Andy Griswold and Land Trust Board member Jim Denham are leading the trip, which will cover the lower Connecticut River Valley region from Deep River and Essex to Old Lyme. 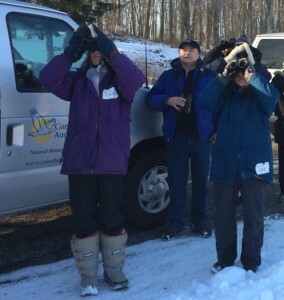 Novice and advanced birdwatchers are welcome. 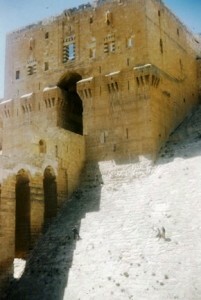 Bring a bag lunch, binoculars and warm clothes. Two vans are available to seat the first 14 people who sign up. The event takes place from 12 to 4 p.m. Meet at Essex Town Hall parking lot. To reserve, call Judy Saunders at 860-581-8108, or email her at judith.saunders@comcast.net by Feb. 10. 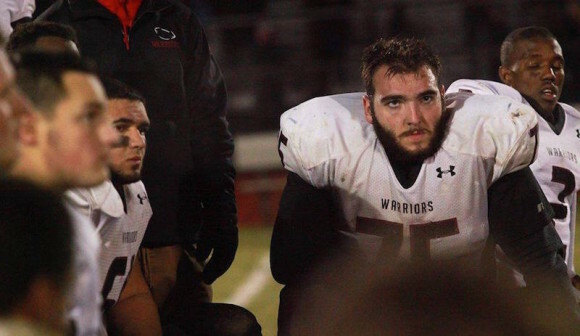 Inclement weather cancels. ESSEX – With the Connecticut legislature expected to vote early this year on whether to approve a third casino, Essex author and former U.S. Congressman Bob Steele will speak in Essex on the impact of casino expansion on the state and the nation. The talk, which is free and open to the public, will take place at 2 p.m. on Sunday, Feb. 14, at The First Congregational Church in Essex, 6 Methodist Hill in Essex Village. 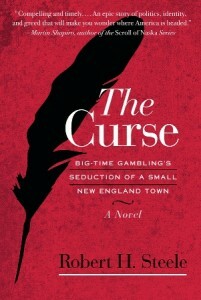 Steele is on an author’s tour regarding his book, The Curse: Big-Time Gambling’s Seduction of a Small New England Town, speaking to some 350 groups across the Northeast. The book, which has gone into its second printing, is a fact-based novel set against the explosion of casino gambling in Connecticut during the 1990s, when two Indian tribes build the world’s two biggest casinos in the southeastern corner of the state. The book comes at a time when the Northeast is becoming saturated with casinos and the legislature has created a multi-step process for opening the first of what could eventually be several additional casinos in the Nutmeg State, with the first in the Hartford area. Steele is chairman of Connecticut-based NLC Mutual Insurance Company and has been a director of numerous other companies, including the American Stock Exchange. 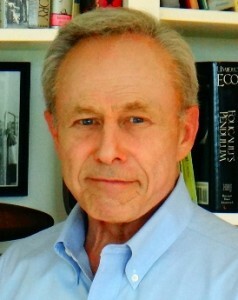 A graduate of Amherst College and Columbia University, he served in the CIA before being elected to Congress, and was a nominee for governor of Connecticut. For more information, contact The First Congregational Church in Essex at 860-767-8097.